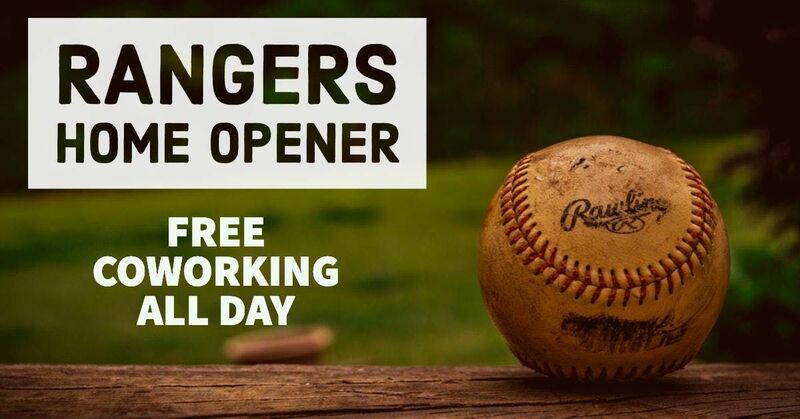 Join us in celebrating the Texas Rangers Home Opener with a day of FREE open coworking and positive vibes!! Free coffee, free beer, concession stand snacks and great wifi all included!! We will have the pregame and game playing on all tv throughout the space. You can even work in the morning then shuttle to the game. Go Rangers!